Okinawa is known as the land of courtesy and respect as in the well-known monument “Shurei No Mon”. 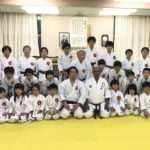 Shorei-Kan, named in reference to the importance of courtesy in Okinawa by one of Miyagi Chojun’s senior students, Toguchi Seikichi, opened its first Dojo in Koza city after the war in the Goju style. 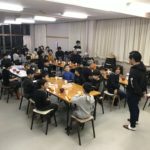 Toguchi Seikichi completed the work of Miyagi Chojun (cut short by the war) in continuing to expand the Fukyu Kata series with Gekiha, Kakuha and Hakutsuru Katas, and completed the Shorei-Kan teaching curriculum. Practice starts from basic Kata to more advanced ones, gradually increasing the difficulty. The progress of practice is structured so that, in looking back, the student realizes that they have mastered difficult techniques without undue strain. 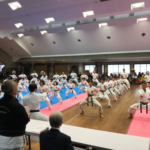 Each Kata has Bunkai to be able to understand the applications of the Kata, however these Bunkai are not separated into separate sections but are designed to flow smoothly from one technique to the next. 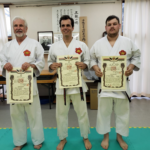 Master Toguchi developed these Bunkai through many years of work and they comprise a vital part of the Shorei-Kan method. 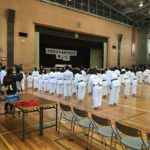 Furthermore, to understand the applications of kata, Shorei-Kan has Kiso Kumite practice kata, also matching the student’s progress. 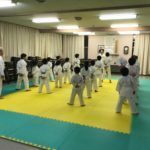 Many styles of Karate feature brief introductory exercises, however, out of 90 minutes 30 minutes is devoted to such training in Shorei-Kan. 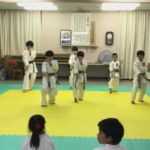 The exercises help students to perform the movements of the kata correctly, and prevent serious injuries. 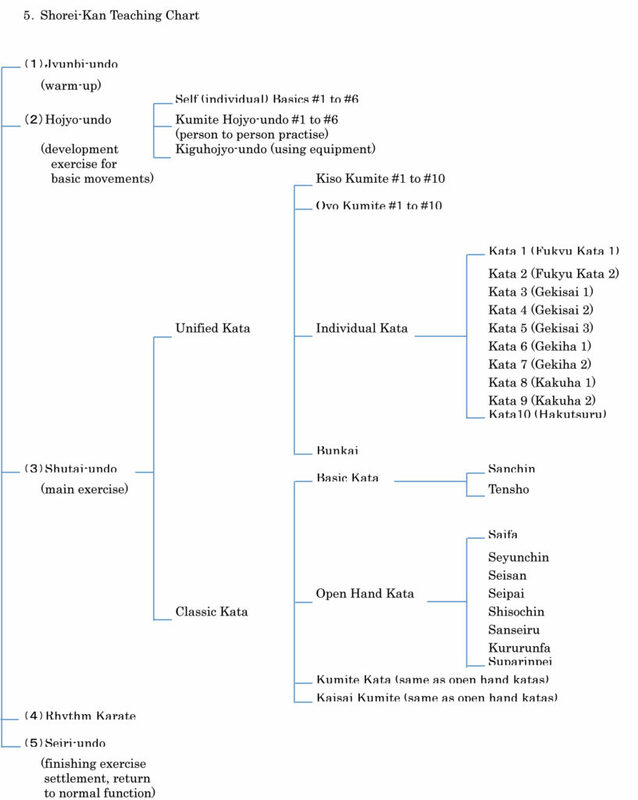 Shorei-Kan teaches traditional karate as it has been passed down by respective Masters of Karate. For example, Shorei-Kan does have high level kicks or Roundhouse kicks, or any such flashy techniques that leave weak points exposed. These techniques were not part of traditional Karate training. 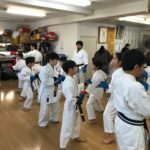 Shorei-Kan teaches traditional Karate featuring self-defense techniques that attack the weak points of the body. Due to the high level of danger presented by the traditional techniques, as a rule, we do not practice any free fighting that does not involve pre-arranged agreement. 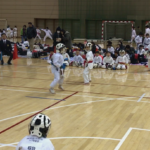 Once a year we hold exhibition tournaments competing in excellence of technique.